Blockchain has not quite emerged from its pupa. Yet that is steadily coming closer, and might occur in 2019 (though it will likely be 2020 before one can be certain). The story of Bitcoin in 2018 is one where it went from a high of almost US$17000 per Bitcoin at the start of the year to hitting a low that was almost 80% lower in early December. That is some fall and was replicated across most other cryptocurrencies and Initial Coin Offerings (ICOs). 2018 also saw a steady stream of regulatory confusion about cryptocurrencies and ICOs – with announcements from regulatory authorities around the world that are polar opposites of one another – from deep suspicion and condemnation to attempting to create a conducive business environment for them. Among the most damning of these was perhaps a report from the Attorney General of New York or the Financial Conduct Authority (FCA). Other authorities and regulators also expressed concerns, including the Bank for International Settlements, the European Securities and Market Authorities (ESMA) and multiple others. On the more positive side of the pendulum, the Swiss Financial Market Supervisory Authority (FINMA) regulator issued ICO guidelines in early 2018. In late December Switzerland’s Federal Council published a report covering distributed ledger technology that outlined the view that existing rules were well suited for blockchain adoption, though improvements could be introduced. This has seemed to be the opinion of the Organisation for Economic Co-operation and Development (OECD) Competition Division as well. From an enterprise viewpoint, unless one is dealing with financial settlement, 2019 should continue in the vein of 2018’s general suspicion of cryptocurrencies and ICOs coupled with wild fluctuations in prices. These do not yet have the imprimatur of respectability. A related area – those of Central Bank Digital Currency (CBDC) will possible start to bring digitally enabled currencies closer to everyday use. This is not expected to occur in 2019. 2020 or 2021 would seem more likely and requires balancing of a range of different issues both technical and regulatory. If or when that first CBDC does happen it will steal much of the non-central bank cryptocurrency steam, and probably render ICOs largely irrelevant. This would be good for all but those who have expected or are expecting to cream off a fortune via private ICOs. One other possibility to watch out for in 2019. Will Facebook launch its own US$-backed cryptocurrency? Given all that Facebook has endured in 2018 one might think this a step too far yet they have been hiring cryptocurrency ‘experts’ heavily. Monetising WhatsApp, with an alleged 200M+ users in for example India, via a payments transfer electronic currency might be too much for a wounded Facebook to resist. The uptake of blockchain by Alibaba on the other hand may be a competitive advantage for China in the long run. In 2018 there were many supply chain/blockchain developments with multiple initiatives and/or roll outs. Examples include: the US Department of Defence (DoD) adopting SIMBA Chain; Eximchain raising US$20M; IBM’s Food Trust for food safety; Honeywell’s GoDirect Trade for the aviation sector, and many more. 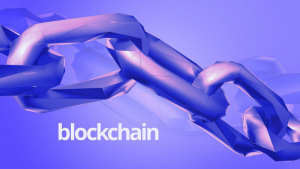 This case highlights perhaps the most critical aspect of blockchain during 2019 – in order for these technologies to truly take off, business processes need to be redefined – this is not the area of flash in the pan apps to get you your bubble tea faster that silicon valley have been producing over the last decade – it is a fundamental change to business infrastructure; getting it to work is going to take grit and hard work. Many of the more lightweight proofs of concept will fail during 2019 and 2020 therefore. One of the puzzles, however, about supply chains and blockchain remains the resistance by those one would have thought might be natural adopters and proponents. In 2018 these have remained largely silent. Who are these? The ERP vendors such as SAP, Oracle, Sage, and, to a lesser extent, the digital procurement marketplaces (Ariba, Tradeshift, InstaSupply, etc.). To outsiders, adding supply chain/blockchain services would extend revenues and bind customers ever closer to the vendors. This did not occur in 2018. Most hedged or would not talk openly about blockchain plans or trials they were undertaking behind closed doors. Maybe this will change in 2019. For enterprises the supply chain/blockchain combo is an area to monitor closely. Before 2018 development tools for blockchain were, largely, missing. Trying to do anything with blockchain was, and arguably remains, tough. But improvements started to arrive in 2018 and 2019 should see a wealth of product or service introductions. Perhaps the most significant arrival in 2018 was BaaS (Blockchain-as-a-Service). Now the majors offer BaaS – including Amazon, IBM, Oracle and SAP. But these are not all: Alibaba, Baidu, Cisco, HPE, Huawei, and Tencent are competing and that is before one reaches smaller vendors, for example Crypotowerks. In addition, other tools are coming into play. Take Blockchain Technology Partners which is offering its Sextant tools to go alongside Hyperledger Sawtooth. Or there is Parity Technologies’ Substrate, Blockhead and TIBCO’s Project Dovetail (for smart contracts) and AuditSafe. The important conclusion here is that more blockchain tools emerged in the latest quarter than before. A trend seems established. Blockchain tools, combined with the ability to ‘run blockchain as a service’, are here to stay and multiplying. While none can yet be considered ‘easy’, blockchain in 2019 will be far more accessible than it has been. There is little doubt that delivering a high transaction throughput blockchain would be a major achievement. With the proof of work (PoW) consensus algorithms (like used in Bitcoin) power consumption is high and transaction speeds are low, there have been moves to adopt alternative methods for delivering a reliable blockchain. These include proof of stake (PoS) and proof of reputation (PoR) algorithms. Each, in their different way, has claimed high tps (transaction per second) throughputs for commercial environments and workloads. Yet, with the possible exception of Billon (with its Biuro Informacji Kredytowej customer), none has produced ‘real life’ (as in ‘real’ implementations) which provide support for their performance claims. That does not mean that they cannot deliver. It does, however, mean that in 2019 enterprises should assess progress because, when one or more can demonstrate sustained commercial workloads, this will be the equivalent of women breaking the executive glass barrier. Is there a well-defined problem? This may seem an obvious question but that does not make it inapplicable. Inevitably, the broader the business problem posed, the harder it is to obtain agreement among interested parties on how to address it. Many blockchain initiatives are too vague. While starting vague and refining towards specificity does work, it introduces delay while adding to costs (and potential frustration). Better to focus on a narrow business problem and proceed faster. Does a possible blockchain initiative involve existing slow, complex and paper-based processes? Traditionally IT has pursued the improvement of existing processes – with that improvement coming from automation, or speeding up, of the execution of those processes. Blockchain is an opportunity to rethink processes into what an enterprise might like them to be or benefit from them being across multiple enterprises. Applying blockchain technology is more likely to progress where there is enterprise unhappiness with cumbersome, paper-based processes. The classic examples are trade finance and supply chain coordination. But blockchain will only help if the underlying processes are rethought. Are there many participants (within your organisation or business)? This is a challenging question. If too many people or departments are involved there is a genuine risk of minimal agreement and progress. Too few and the effort required for blockchain may not be worth the candle. In many cases it is (politically) easier to work with external partner organisations or businesses rather than internal ones (hence question four). Are multiple organisations involved, most or all of which could exploit improved reliability and transparency? As suggested above, working across organisations and businesses may produce a common goal which satisfies all (or most). Everyone involved who encounters complications – which generate work which might not be necessary if all could see an unalterable record of what is happening – are potential candidates. This applies, for example, to trade finance, auto manufacturing, aviation parts authenticity/availability, supply chain and more. Where there is a known community with an agreed set of issues where delivering transparency (with an unalterable record) as motive, enterprises will have real possibilities. Do low transaction rates, and not real time responses, apply? To some degree any decision will rest on which ‘type’ of blockchain you choose (with private, permissioned ones being the fastest). Yet a blunt truth exists; this is that real time blockchain remains (in 2018/2019/2020) a future. Working back from this it follows (for 2019) that the less there is a need for a high-performance transaction load, the greater the chances of a blockchain initiative or project working. How to make a decision? If a proposed blockchain project does not satisfy at least three of the criteria above it is likely it has a much higher chance of either failure or business irrelevance. Conversely, satisfying four or more likely suggests there is an appropriate base on which to build. All in all, 2018 saw blockchain shift a gear. It moved from an attractive theory to being possible. 2019 should see blockchain become both practical and enter into practice, though in a limited fashion. In effect, blockchain is transitioning from the unattainable to the attainable – for all sizes of enterprise with wider-spread adoption most likely in 2020/2021. The blog was written by Charles Brett. It was first published by Creative Intellect Consulting and is reused here with permission.